A lot has happened since I last posted on this blog. Most importantly, I've officially gone from being employed to being, shall we say, between jobs. Rather than drink and spend money like I had it, I'll go back to a nice cheap blogging habit. 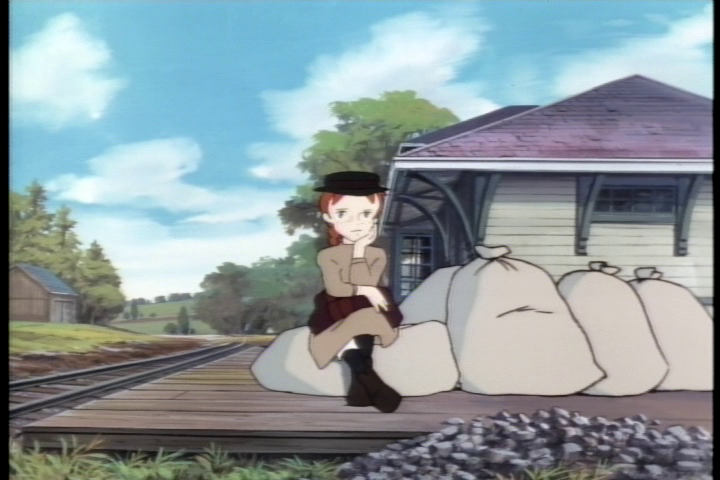 Since I last blogged, I've purchased and watched every Isao Takahata movie (except Only Yesterday), and bought DVDs his TV series Anne of Green Gables. I can't praise his work highly enough. His film masterpieces are certainly The Tale of Princess Kaguya and Grave of the Fireflies. The Tale of Princess Kaguya is particularly amazing. It was made in another world, where they make films differently. Now that Space Dandy is over, I don't watch traditional TV anymore, relying on my massive collection of DVDs, books and the internet to entertain me. It's been pretty good for me, I think. I've been practicing drawing, but I'm still not good enough to post pictures here. Maybe soon these posts will be marred by my horrible cartoons as well as my horrible writing. If I'm mentioning this I must not have much to say about myself. Oh, I've been reading Gene Wolfe's Book of the New Sun, but I keep forgetting about it and having to re-read sections I've already read. This is good to see Severian misinterpret the simple things around him, but bad when it comes to actually reading. It's a fun book, but I'm still at the beginning. It also obviously calls for being read twice. It reminds me of the old show, Neon Genesis Evangelion. I know they've both read and been influenced by Cordwainer Smith - one of my favorites - so it is probably just convergent evolution. Well, with no job to encumber me it'll be daily blogging for a bit. Hopefully they won't all be this dull. If I can't spontaneously be interesting, then I'll restart the IITSTIAPW series and start a project systemically famous anime directors. What do you mean "finite", kemosabe?